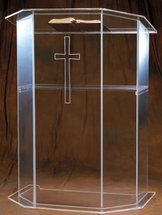 Imperial sanctuary furniture represents the finest quality at very reasonable prices! 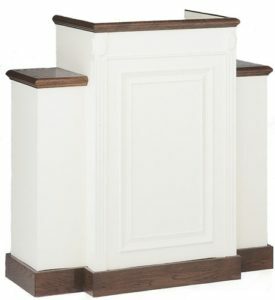 From traditional to contemporary, these fine oak pieces are made to order by Imperial Woodworks – and well worth the wait! 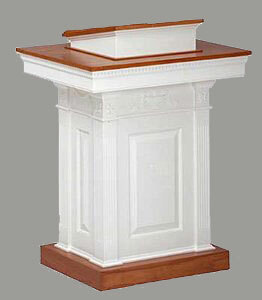 The TWP-605 pulpit is done in colonial white with wood accents on the top and base.